If we could keep them all, we would - especially this daughter of National Champion MAMAGE. She is out of the BASKE AFIRE daughter, B WITCHED, who is out of GALA DE COGNAC - a Who's Who pedigree of great English performance horses. The goal is to make each generation better than the last, and we believe her 2018 filly by Thunderstruck LR did just that. Ballroom Blitz is broke to ride and is ready to finish in the full bridle. She was videoed with her filly so you can see for yourself that she is a producer. 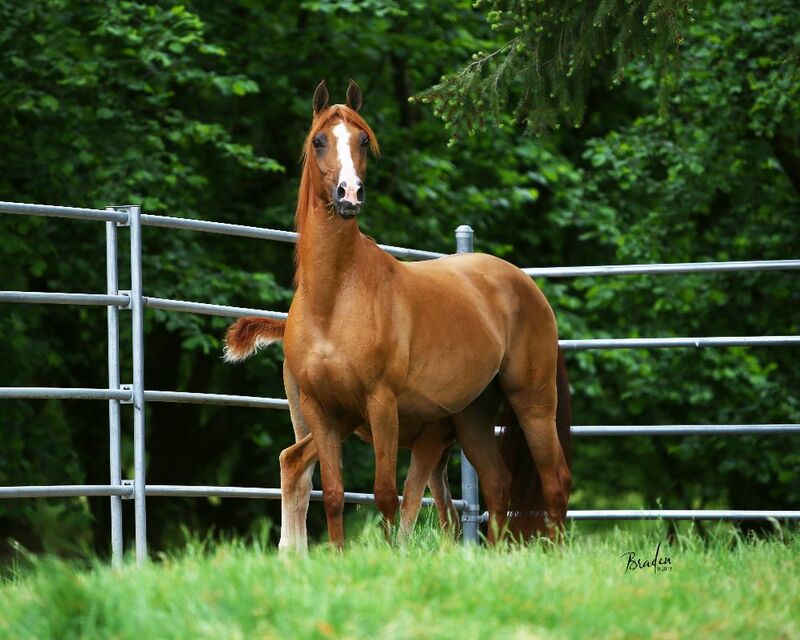 The filly is NOT consigned to the sale, as she represents the next generation of Prestige Farms breeding program.